We interrupt the holiday series posting to bring you a very important message for women everywhere. It's time to take care of your hair and treat yourself to a little hairapy. Now, don't get me wrong. I realize I'm lucky to have hair that looks somewhat decent when I just let it be. After all, many women experience hair thinning as they get older. It's not at all uncommon and it's often not the result of mistreatment of hair. In fact, 90% of all hair loss cases are caused by hereditary hair loss. 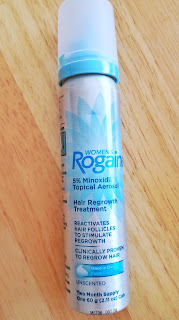 We all know Rogaine® is a popular go-to item for men experiencing hereditary hair loss. But women also have a product they can turn to with Women’s Rogaine®. 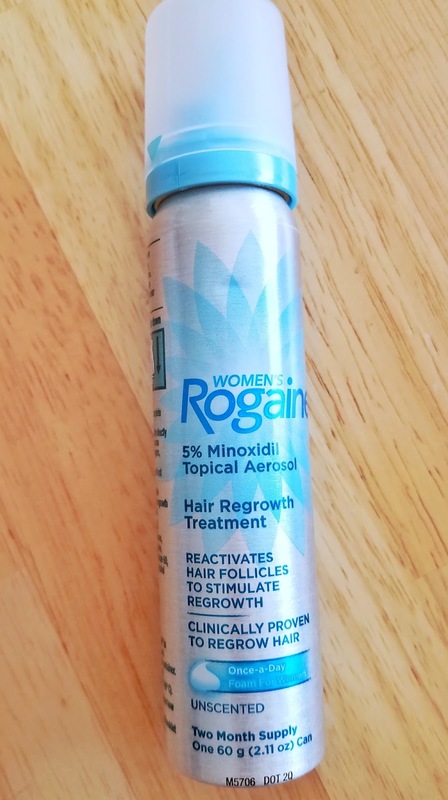 Women’s Rogaine® 5% Minoxidil Foam is the first and only FDA-approved, once daily application hair regrowth treatment for the scalp exclusively for women experiencing hereditary hair loss. The treatment contains 5% minoxidil, the ONLY ingredient FDA-approved to regrow hair in women. So what are the early signs of hair loss? Hair Shedding – increased hair accumulation in shower, pillow, and hair brush. 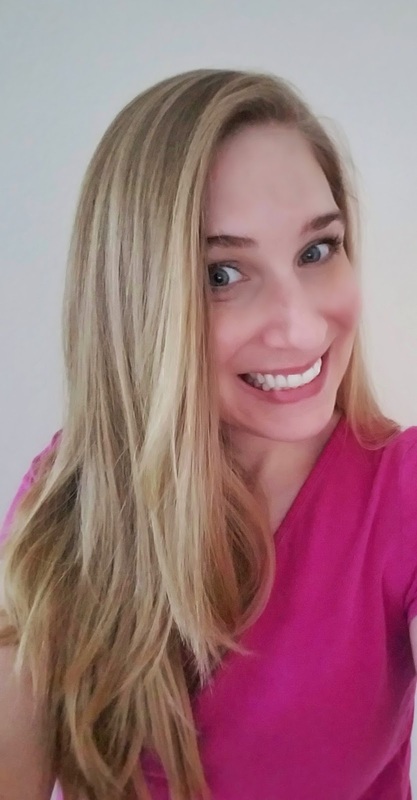 Most people lose between 50-100 hairs a day, which is considered normal hair loss; a consistent loss of 150 hairs a day is considered significant hair loss. If hair loss is sudden or patchy, consult a medical professional. 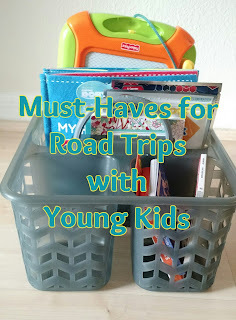 You can also check out the giveaway by SheSpeaks here. This post was developed in partnership with Women’s Rogaine®. All opinions are my own.